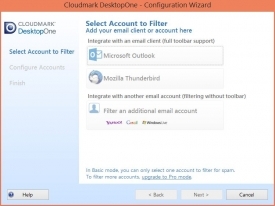 "Be-rid your inbox of annoying spam with Cloudmark DesktopOne for your PC." Are you tired of opening your inbox to look for something specific, only to be bombarded by advertisements for products that you will never use or think about using? The spam clutters up your inbox and before you know it you have thousands of unread emails. And to have to go through and click on each one just to get the notifications to go away is a pain when many email service providers still do not have a means of marking all emails as read. Plus that's not the greatest idea. What if there really is an important email buried underneath all of the spam emails. You will never know that you missed something important. Like a new job opportunity. With Cloudmark DesktopOne, you can get rid of all the stuff that really is spam, unnecessary emails, and subscriptions and keep what really matters - what's really important to you. 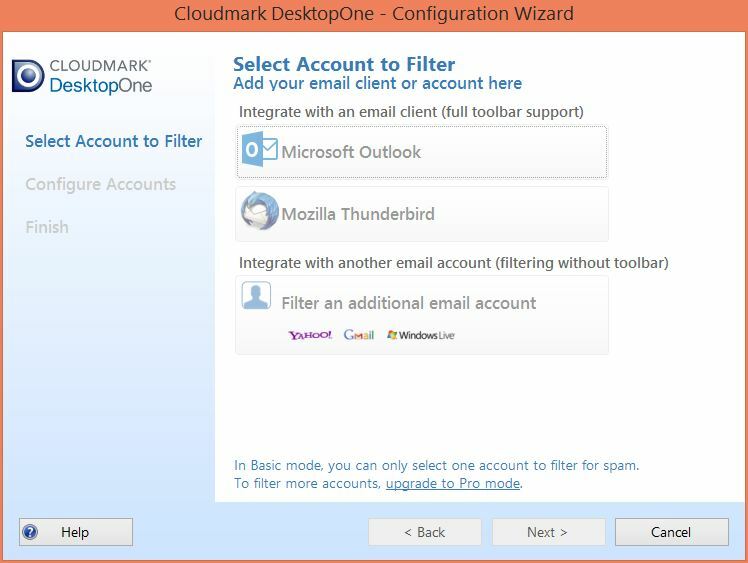 Cloudmark Desktop works hand in hand with Outlook and Thunderbird to sift through your email looking for known spam and subscription email. Once the application finds it, the spam will be removed from your other mail, leaving you with a nice clean inbox filled with important emails from real people, not automatic email scheduling robots. Download Cloudmark DesktopOne today so that you too can have the opportunity to experience what it feels like to have all of your important information right in front of you rather than shuffled in a big mess. Note: This is the 64bit version of Cloudmark DesktopOne. If you are looking for the 32 bit version of the application, click here.